Regular or intensive use of a trampoline can cause springs, one of the main components of your recreational trampoline, to become distended or broken. The elongation causes them to lose tension and therefore power, when you jump on the trampoline. 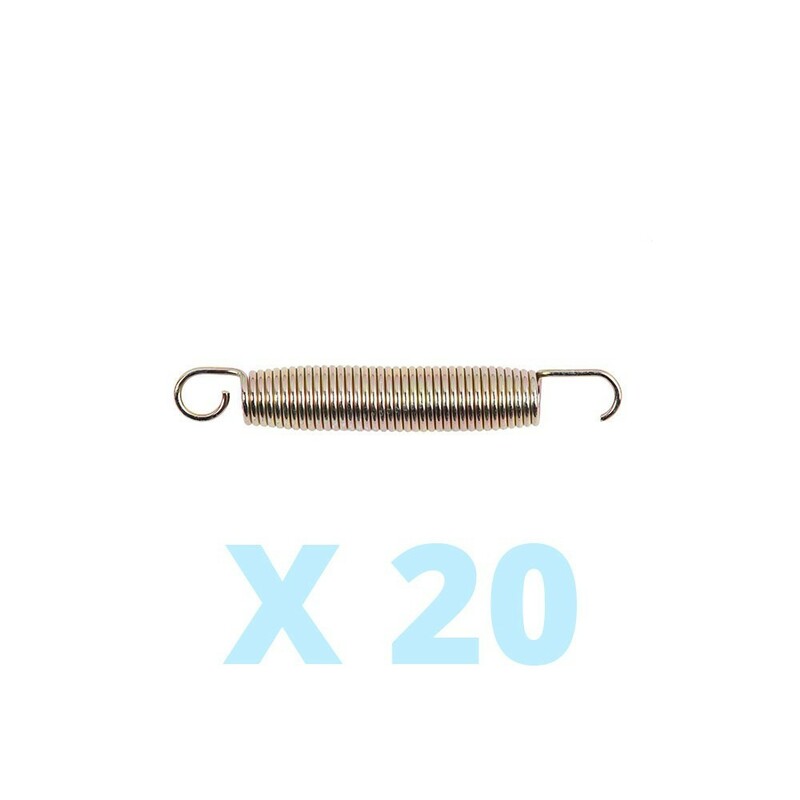 If your trampoline was originally equipped with springs of 18 cm in length, than this pack of 20 springs will suit you perfectly. - Each spring measures 26 mm in diameter, with a steel wire of 3.2 mm. - Galvanized and gold coloured, these springs can remain outside all year round and will restore a satisfying bounce to your trampoline. 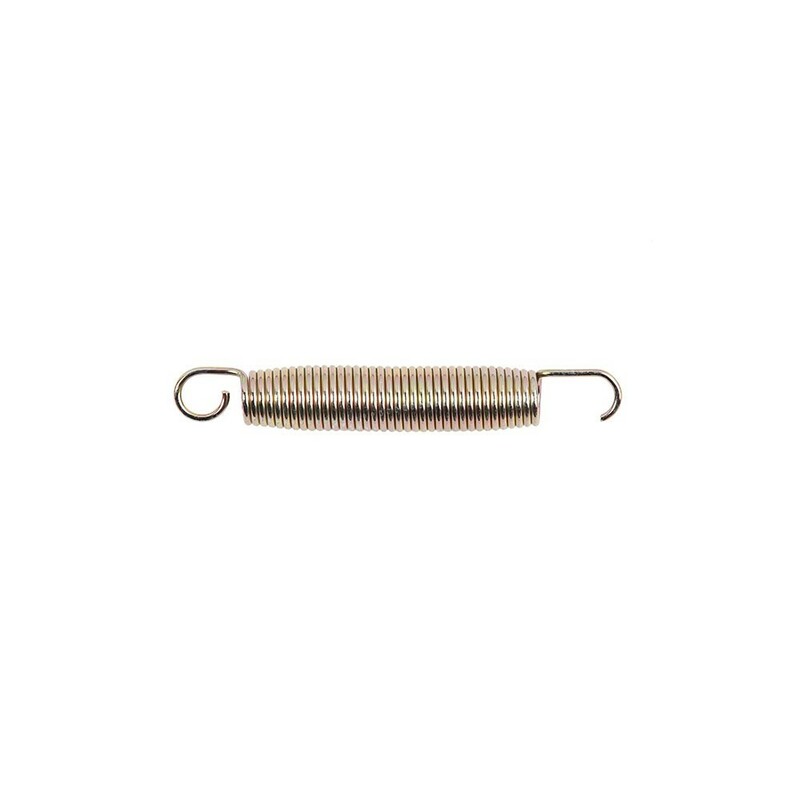 - These springs have two different types of hook. On one side of the spring, a closed hook is used attached onto the jumping pad to ensure good hold while jumping. The second hook is open and easier to install on the steel framework of your recreational trampoline. - To remove your old springs we would recommend using a hooked clamp: press down on the centre of the coil and pull up on the hook attached to the framework. NB: These twenty springs can be used on the Jump’Up, apollo Sport 300 and Ovalie 430 trampoline ranges.